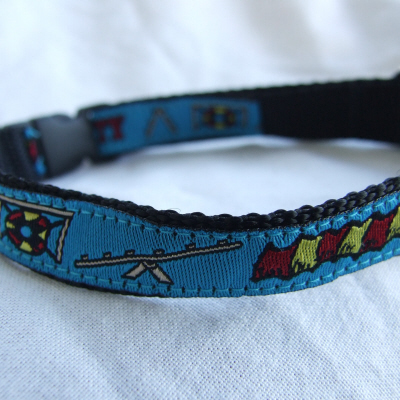 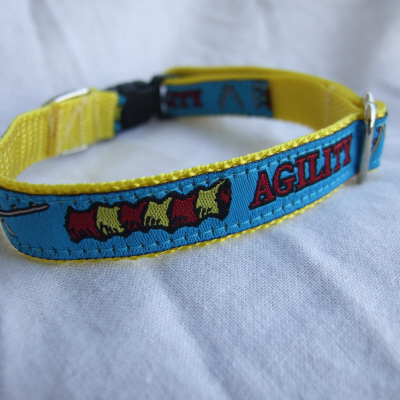 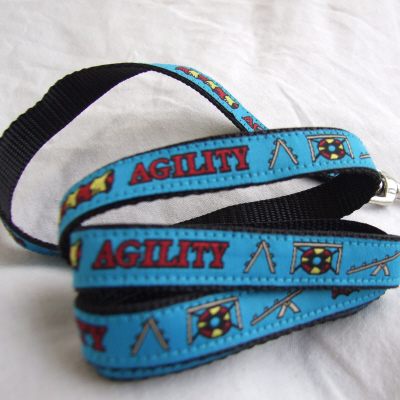 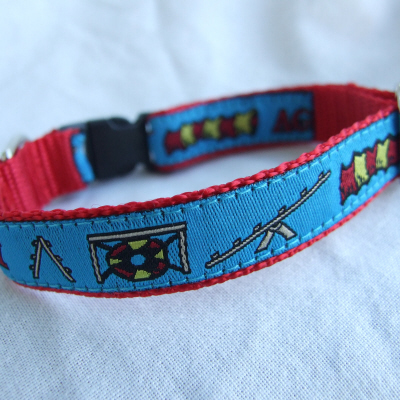 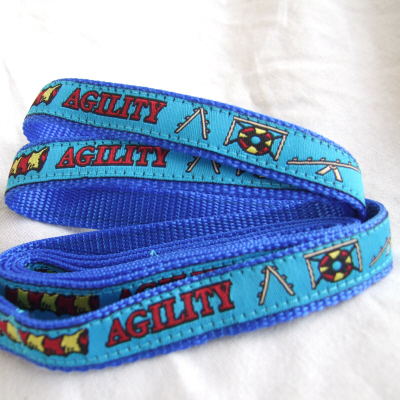 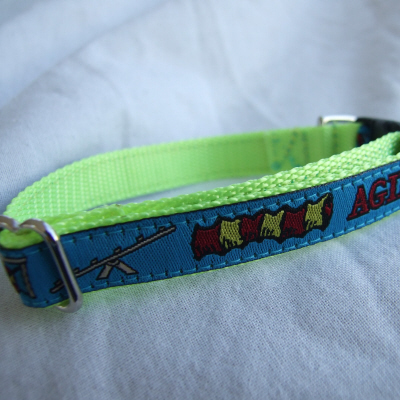 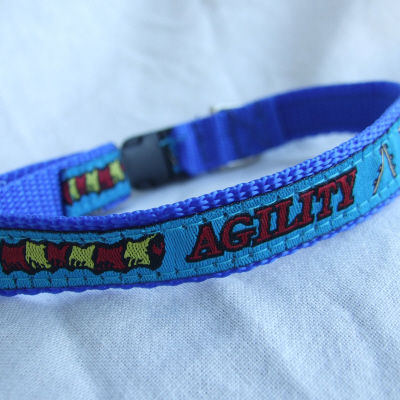 An agility design on Blue and Green woven ribbon sewn onto sturdy nylon webbing. 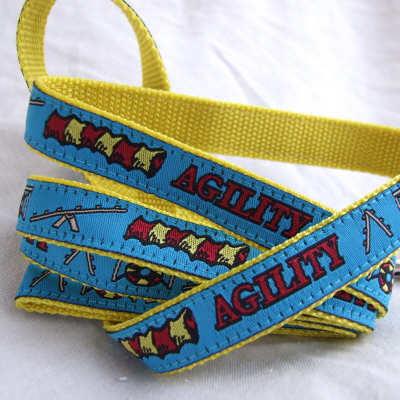 Available 5 different colours for the nylon webbing. 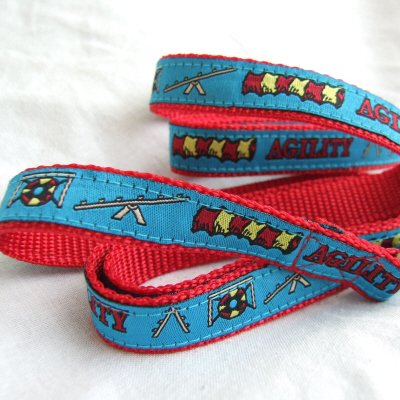 An agility design on Light Blue and Green woven ribbon sewn onto sturdy nylon webbing. 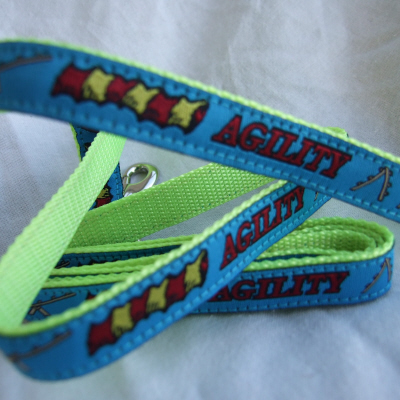 Available in 5 different colours for the nylon webbing.